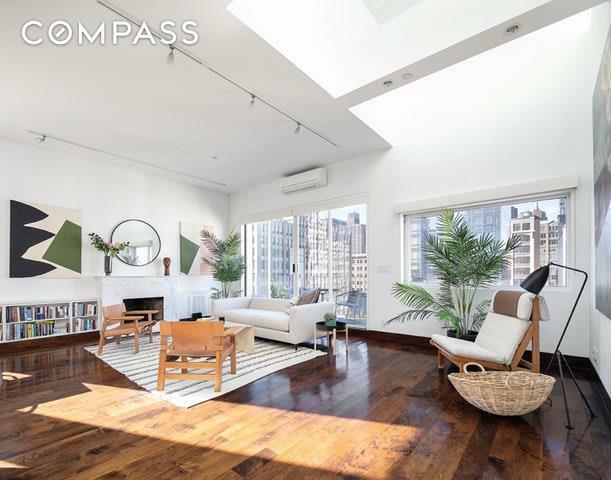 The Penthouse at 554 Broome Street is an architecturally significant, full floor duplex loft penthouse, with an unparalleled combination of chic indoor and outdoor living flooded with sunlight through three exposures. 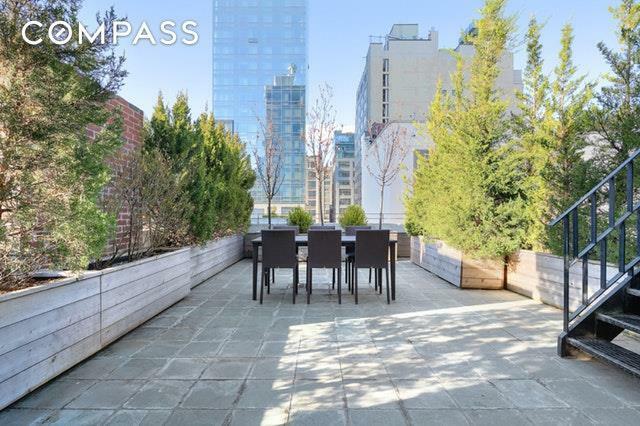 A private keyed elevator opens up to an expansive 2,300 SF 3 bedroom (2 bed plus office/bedroom), 3 bathroom apartment with up to 18' ceilings with four private terraces -- one off of the living room and each bedroom--in addition to a 40' long private roof deck. Upon entry, a combination glass and walnut staircase leads to a generous living space with 12 ceilings and abundant natural light through multiple oversized skylights. This graciously apportioned floor can easily accommodate multiple seating and dining areas, has a wood burning fireplace and enjoys access to a terrace by way of sleek sliding glass doors. A modern kitchen with marble countertops is also bathed in light from a skylight and is appointed Viking, Sub Zero and Miele appliances. A south facing den/3rd bedroom with full bath and private terrace complete this floor. The lower level is home to an opulent master suite, a large private oasis with two fully built out closets, and additional custom built in shelving. The master bedroom enjoys access to an expansive private terrace, a rarity in the downtown market. A serene master bath features a White Carrara marble glass walled shower, dual vanity and deep soaking tub. A secondary south facing bedroom with fully built out closets, a marble bath and an additional private terrace is also located on this level. A side by side washer and dryer is positioned just outside the bedrooms. 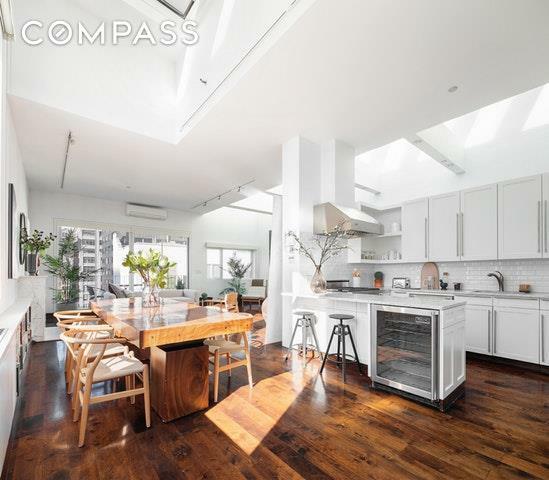 554 Broome Street is a five unit prewar condominium with very low monthlies ideally positioned across street from Pritzker Prize winning architect Renzo Piano's first New York City residential condominium on the border of Soho and Hudson Square. Formerly a horse stable for the fire department in 1890, today it consists of five (5) very special floor through lofts, a duplex penthouse and a maisonette, all accessible by private keyed elevator. Subletting is permitted and the building is pet friendly. 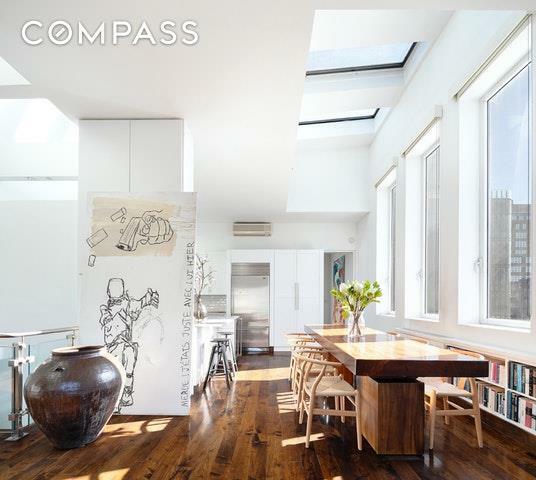 Listing courtesy of Nick Gavin of Compass.